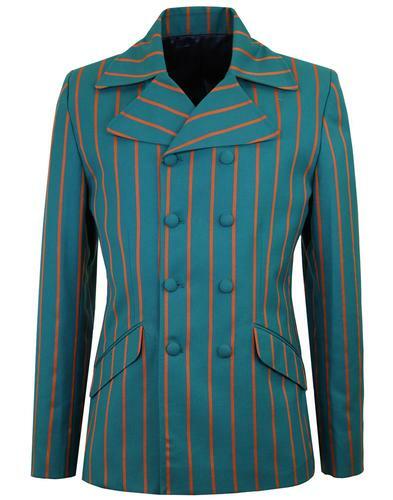 'Howl' Men's 1960s double breasted blazer jacket in teal. 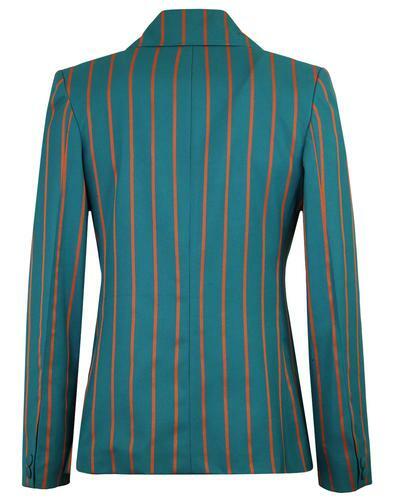 Retro jaffa orange fine stripe detail adds texture and contrast. 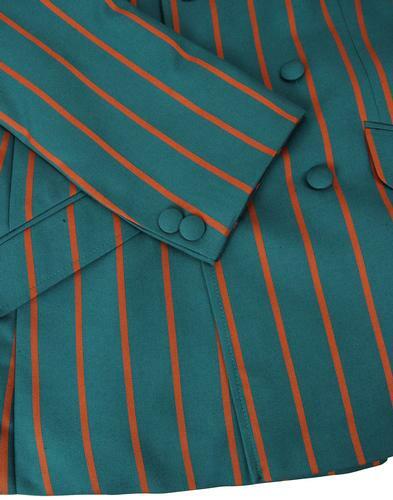 Classic DB fastening with tonal covered buttons. 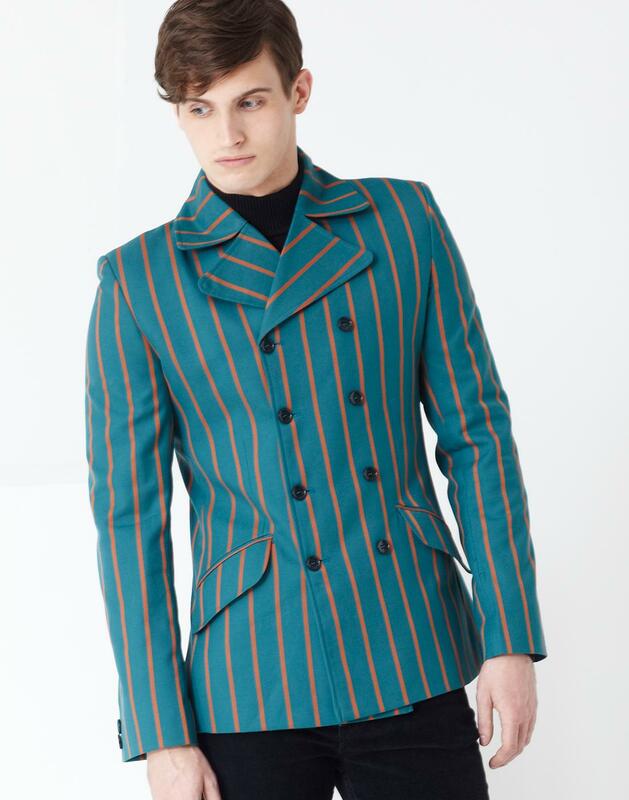 Dandy Mod oversize lapel with rounded edges and notch detail. 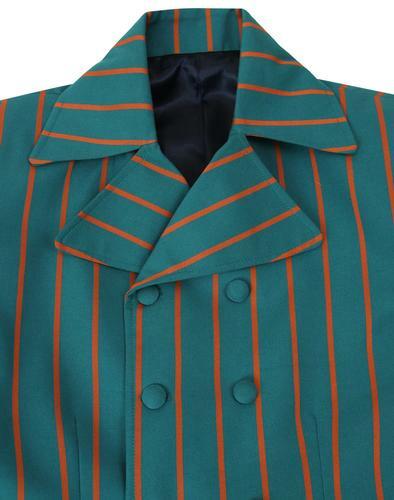 Tailored Mod double breasted blazer with waisted Regency inspired finish. 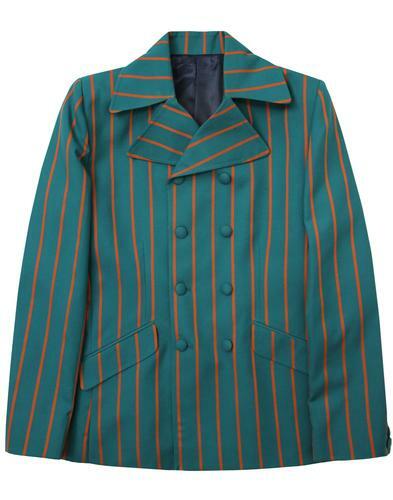 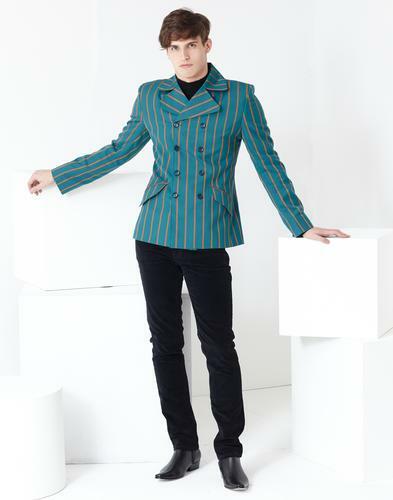 SKU: MC390 Howl Teal Double Breasted Blazer with Jaffa Orange Stripe.